Meet Andrew Perlot, a champion of the raw food revolution. Smart eating for smart living. "This book is THE BEST BOOK I've ever read on basic dietary needs and I've read quite a few books on nutrition in my time. I urge EVERYONE to get a copy and start eating properly which will probably be for the first time in their lives. I cannot believe the changes in my mental clarity, energy levels, and over-all well-being - it's fantastic." While working away forum-browsing and in general, working on this site, I came across Andrew Perlot. Who's he? Well, if you haven't heard of him, and I admit I hadn't, then I'm sure you will be hearing more from/about him in the not-too-distant future. This young man has done a TON of research into man's diet - how it has evolved from thousands of years ago to present day – and not for the better, I might add. We've evolved from fruit-eating to pre-packaged foods, in the blink of an eye, on the evolutionary time scale, that is. It was time for the raw food revolution to work its magic on me! Andrew was 'sick and tired' of his ailment, and decided to do something about it himself, after visiting his regular doctor who told him he would be suffering with colitis for the rest of his life and that 'diet had nothing to do with it'. Well, this wasn't good enough for Andrew, and this propelled him into his raw food lifestyle of totally enjoying nature's bounty of raw fruit and raw vegetables. He went on his own raw food revolution and his journey took him to places the likes of which you and I may never visit. What he learned is all spelled out in his books. Action and change without any motivation behind it often leads to failure. it's usually only then are we able to stick with the (new) plan. He admits that he fought the change from the regular Standard American Diet (SAD), a little in the beginning. Just about all of us do, no matter what type of diet we're on. And face it, we're all on diets! What we eat is our diet! So, doesn't it make sense to make sure that what we eat will actually serve us well? I think so! And now I know so! Sorry to sound like a know-it-all there, as I'm not trying to sound that way. It's just that sometimes it takes a big stick to hit you over the head before you change your habits. Ouch! 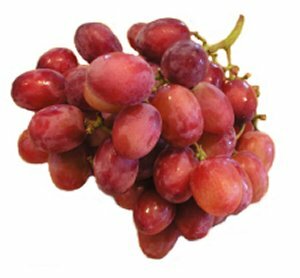 The raw food revolution suggestions work – if you apply it. Action and change without any motivation behind it often leads to failure. When we change our habits because of a certain experience we associate with it, (usually it's a bad experience), it's usually only then are we able to stick with the (new) plan. Recovering alcoholics and ex-smokers know what I'm talking about. They won't dare drink or smoke because they associate such painful things with it, so that that in itself is enough to create a strong resistance to thwart temptation. 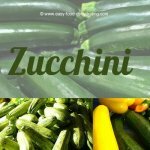 So once you make up your mind, after reading why we should really be eating raw fruits and raw vegetables, along with nuts, and seeds – I hope you'll join me, Andrew, and thousands of others who are making a difference in their dietary life, and their lifestyle too and experience the raw food revolution. What's so hard about changing your lifestyle? Everything! It's not until you sit back and take stock (or reach age 50+ like me!) of how you're living your life that you realize that what you are doing is not beneficial and it could be one-heckuva lot better. Whether it's eating poorly, not exercising (enough), and importantly: not getting enough sleep. I think we all think we're invincible – but we're not – especially if we keep on with our old bad eating habits. We are what we eat. I must say I've never felt better – more alert, a better sense of well-being, and a real purpose in life to treat myself (body/stomach) with the respect it deserves. Growing up, I do wish the biology classes had gone more into depth regarding our digestive system – the wonderful thing it is – and how we just totally treat it with disrespect, throwing down any old food we want, and hoping for miracles that our body can maintain itself and survive on junk food! Below you'll see Andrew's Raw Food Lifestyle e-book, and below that his e-book on Raw Dressings and Sauces! Click on those for much more information. So, do yourself a favor, start the raw food revolution right now! Click on Andrew's book photo above and read about him. Then go a step further, and buy all his books and change your life. I did. It's worth it. And you are worth it too. Click PHOTO for additional free info. 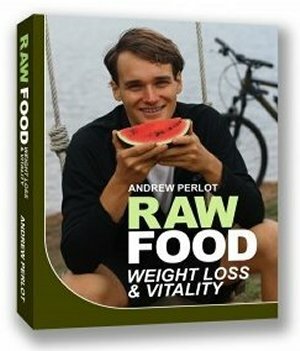 In The Raw Food Lifestyle ebook, journalist and raw foodist Andrew Perlot lays out how to deal with the many lifestyle elements outside of diet that so drastically affect the lives of raw foodists and SAD eaters alike. Readers will learn how to use your mind and body to really thrive, and find new levels of health and happiness. Learn to make sinfully delicious dressings that are perfectly innocent. Andrew shows you how to make raw dressings that are low-fat, salt-free, quick to make, and really delicious. The only ingredients are whole, raw fruits, vegetables, and herbs.